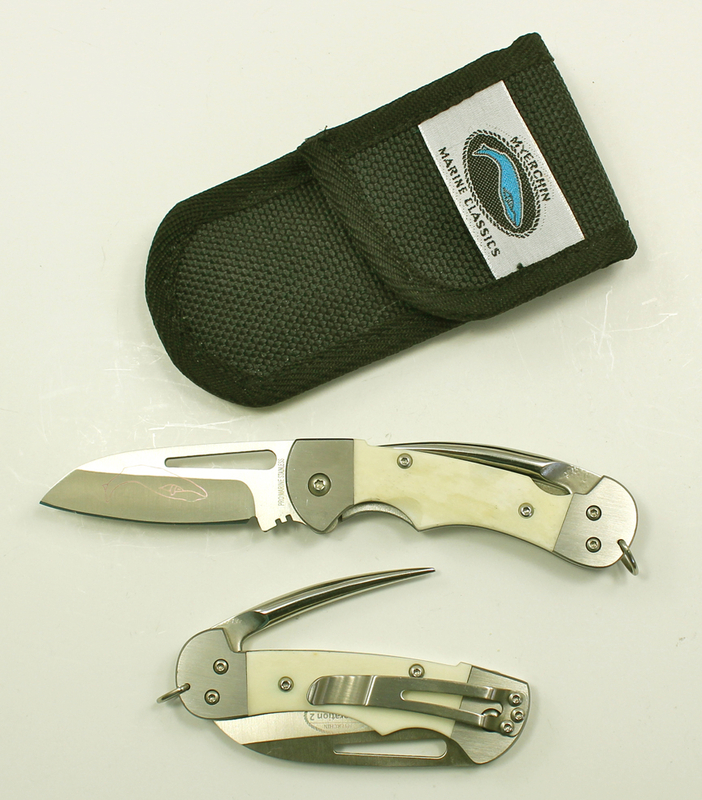 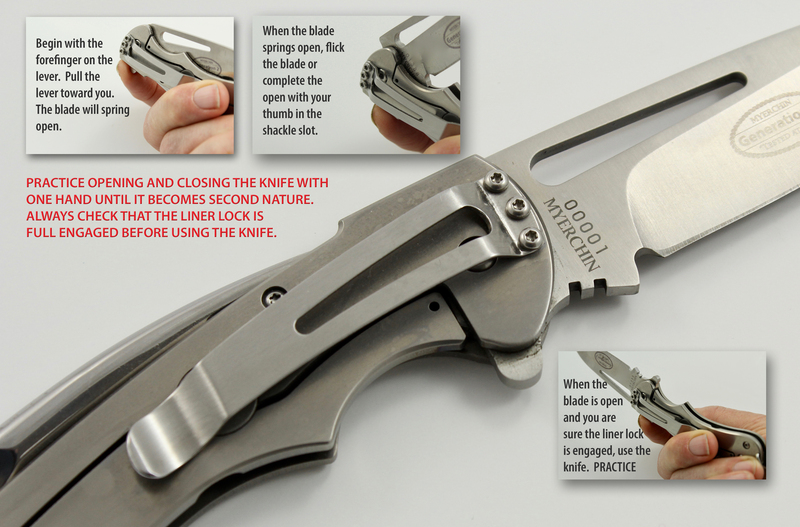 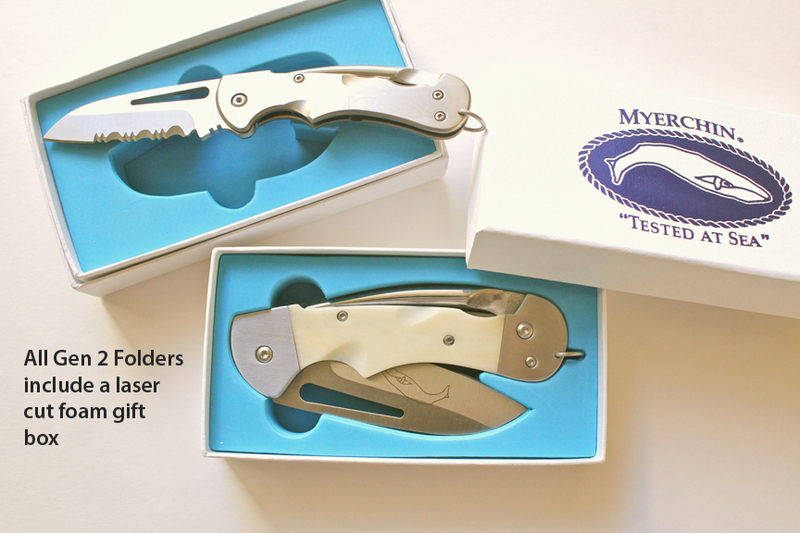 AF377: Gen 2, Bone Handle Crew – Myerchin Inc.
Our newest design for the seaman who wants the absolute finest rigging knife available. Crafted from Stainless, Natural Bone and German Marine Stainless Steel. 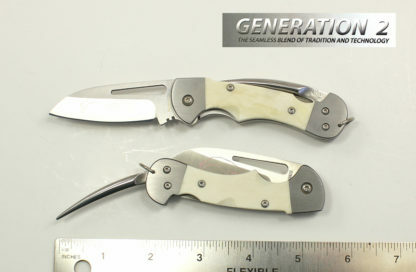 The Natural Bone is an excellent base for adding traditional personalized scrimshaw. Of course our bone handle is sustainable… carefully selected bovine material. 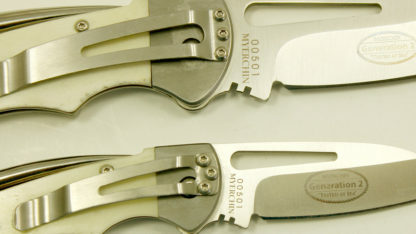 The Pro-grade German Marine stainless that we use is comparable to 440C for hardness and edge-holding properties with additional anti-oxidation elements added for the final crafting of our knives. 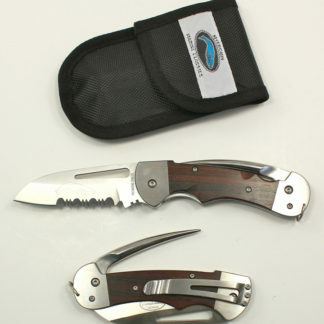 It features extreme strength and light weight. 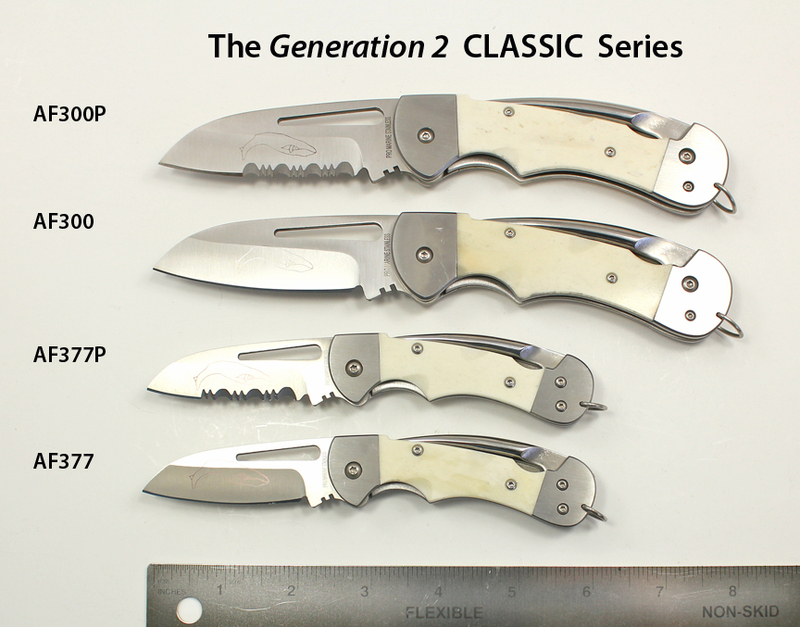 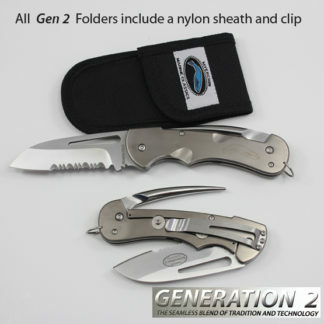 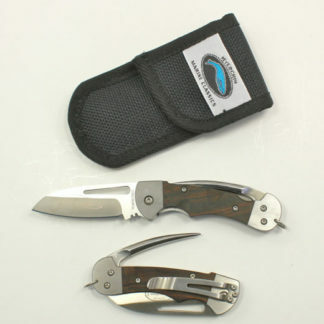 The Generation 2 Series features our advanced, locking mechanism (securely locks blade, spike, or both) / Includes Cordura nylon sheath / belt (or pocket) clip / Serial Number / Improved One hand open with new “Open Assist Lever” that allows the user to easily and safely open the blade under difficult conditions. Standard Blade. 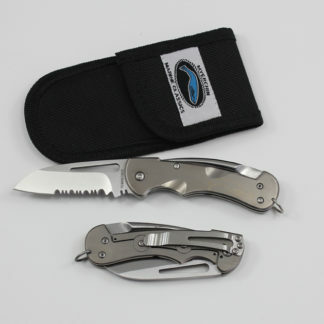 Built on a smaller version heavy duty BF300 Frame, this is a knife that will easily last a lifetime… or two. Light weight makes it an ideal money clip. Gift Box included.